There are federally administered land in 19 states where you can locate a mining claim.The United States Forest Service (USFS) an agency of the U.S. Department of Agriculture administers about 193,000,000 acres 25% of the public land managed by the federal government.The Bureau of Land Management (BLM) an agency of the United States Department of Interior, manages approximately 245,000,000 surface acres. The BLM administers mineral leasing underlying lands managed by the USFS, the United States Fish and Wildlife, the National Park Service, and the United States Army Corp of Engineers. The BLM manages 58,000,000 acres of mineral estate beneath surface lands owned by non-federal entities such as States and private landowners. BLM also manges the mineral operations on 56,000,000 acres of Indian land. there is usually a ¼ mile buffer zone withdrawn from location of mineral entry on either side of the river. Patented Mining Claim is land that the federal government passed title to a claimant, making the claim to be private property. Same as any other private land. Depending upon the title you may own the minerals, surface rights, water rights, and timber rights. Effective October 1,1994, Congress imposed a moratorium on spending appropriated funds for the acceptance of mineral patent applications. This moratorium is current in effect. Until Congress ceases the moratorium Bureau of Land Management will not accept any new applications. Unpatented Claim is a particular parcel of public land, managed by a federal agency that contains a valuable mineral deposit or deposits. You are leasing from the public the right to extract the minerals under the supervision of specific agents of the government. Any United States citizen over the age of 18 can stake a mining claim on any land that has not been withdrawn from mineral entry. There is two types of mining claims, a lode claim and a placer claim. A Lode Claim is usually described as a parallelogram with side lines parallel to the vein or lode. Descriptions are by metes and bounds survey, giving the length and direction of each line. The maximum size by Federal statute is 1,500 feet along the vein or lode and a maximum width of 600 feet, 300 feet on either side of the center of the vein or lode. The end lines must be parallel to qualify for extralateral rights, the right to mine minerals that extend at depth beyond the vertical boundaries of the claim. Basically you can extend your adit beyond the surface boundaries of your mine following the vein of ore.
A placer claim includes all deposits not subject to a lode claim, deposits of unconsolidated materials such as sand and gravel containing free gold and other minerals. 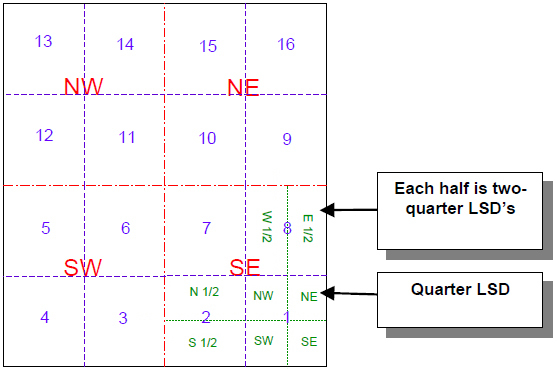 Where practicable placer claims are located by legal subdivision, township, range, section and quarter section. Example – Township 10 south, Range 11 East, Section 9, South East (SE) ¼. The maximum size of a placer claim is 20 acres. If you are locating a mining claim on land managed by the United States Forest Service, you must deal with both the USFS and the BLM. The USFS controls the surface rights while the BLM controls the mineral rights. Colorado has a history of mining numerous minerals, producing vast wealth for the nation. Since 1859 the mines of Colorado has produced over 45,000,000 million ounces of gold alone. The miners of Colorado have found and produced almost every known valuable mineral, from Arsenic to Zinc, including Diamonds, Sapphires, and Uranium ores. Colorado's mine are still producing wealth for the nation. One misconception concerning mining is the idea that the mines are “played out”, that there is very little mineral resource left in them there hills. In actuality the miner were played out not the minerals. We have no concept of the actual volume of minerals remaining in the state. Before 1872 the practices of mining on public lands were more or less universal and supported by the individual territorial and state legislation, however there was not a federal law that allowed mining on the public lands. Some of the eastern state congressmen regarded western miners as squatters who were robbing the public patrimony, and they proposed seizure of the western mines to pay off the huge debit caused from the “Civil War”. In June of 1765 Representative George Washington Julari of Indiana introduced a bill for the federal government to take the western mines from the miners and sell them at public auction. Representative Fernando Wood proposed that the federal government send an army to California, Colorado and Arizona to expel the miners by armed force if necessary to protect the rights of the federal government in the mineral lands. His thought was that the federal government would operate the mines it self to benefit the national treasury. The General Mining Act of 1872 was passed that codified the miners rights to claim public land to mine the valuable minerals. This act specified the legal size of the mining claims, also granted extralateral right – the right for the miner to follow any vein of ore outside of the mining claim. The maximum size of the claim was specified to be 1,500 feet by 600 feet. There are several companies that are marketing both patented and unpatended mining claims. All I can say about these is buyer beware. Please do not take their word, do your own research and assaying before paying for any of these claims. If you want to mine I believe the best approach is to discover your own lode or placer mine. Prospecting is rewarding in that you can spend days hiking, researching, and learning. I have known many old prospectors over the years, and have spent days prospecting myself. One of the biggest errors made while prospecting is looking for one specific mineral while over looking many valuable deposits. One prospector I knew overlooked a kimberlite pipe that has been producing many diamonds. Myself I have ignored many semi-precious gem stone deposits, some of which I have gone back too and recovered many pounds of raw, rough material. Colorado is a state that recognizes separate ownership between the private land: surface estate or rights, mineral estate or rights, water estate or rights and in some cases the timber rights or estate. It is often that different entities own the different estates. You might own the surface estate but some other entity can own the mineral estate and someone else can own the water rights. Often the three different estates were titled differently. An example: You own a 'patented' mining claim that has a spring, unless specifically titled, or adjudicated to you, another entity can own the water that is produced from the spring. The same is true for the other rights or estates. Sometimes the application for the patent on a claim specified one or more minerals, instead of all minerals, if this is the case then someone else can mine a unspecified mineral – like oil on your land. Colorado law states that in order to develop the mineral interest on a mineral estate, access to the subsurface estate must be granted for “reasonable use”. Mining in Colorado is regulated by the “Colorado Mined Land Reclamation Act” first passed on January 29,2009. These regulations have been amended almost yearly. It is declared to be the policy of this state that the extraction of minerals and the reclamation of land affected by such extraction are both necessary and proper activities. In order to mine anywhere in the state of Colorado you must have a permit from the Colorado Division of Reclamation, Mining and Safety. This department charges a fee for the permit depending upon the size of mine you intend to operate. If your mine will effect less than fifty acres and you will extract less than 1,000,000 tons per year the fee is $4,025.00. So any intended mining operation will cost at least $4,025.00 for this permit. The State of Colorado defines “Prospecting as the act of searching for or investigating a mineral deposit. This includes but is not limited to, sinking shafts, tunneling, drilling core or bore holes and digging pit or cuts and other works for the purpose of extracting samples prior to the commencement of development or extraction operations and the building of roads, access ways and other facilities related to such work. Prospecting as defined by the State of Colorado does not include those activities which cause very little or no disturbance, such as airborne surveys and photographs, use of instruments or devices which are hand-held or otherwise transported over the surface to make magnetic, radioactive, or other tests and measurements, boundary or surveying, location work, or other work which causes no greater land disturbance than is caused by ordinary, lawful use of the land by a person not prospecting. The term does not include any single activity which results in the disturbance of a single block of land totaling 1600 square feet or less of the surface, not to exceed two such disturbances per acre; except that the cumulative total of such disturbance will not exceed five acres statewide in any prospecting operation extending over 34 consecutive months.